Take in the view at Ram's Head, Beauty Mountain, New River Gorge. Gene and Maura Kistler have been tireless champions of everything from schools, to rock climbing, to art, to the environment and more. Fayetteville, which calls itself one of the coolest small towns in America, wouldn’t be half as cool without them. This underrated crag has an impressive array of well-bolted, well-maintained, moderate sport climbs for beginner and intermediate climbers. A little bit of western alpine-style rock climbing tucked into a rural corner of West Virginia, Seneca Rocks is best known for multi-pitch trad climbs and stiff old-school ratings. You're staring down the barrel of a loaded adventure at Meadow River Gorge, a wildly fun and challenging crag for rock climbing in the New River Gorge. Nowhere else in America can you find as much world-class adventure as here— and the hiking is no different. The most extensive cragging area east of the mighty Mississippi, the New River Gorge has top rope, sport, trad, and bouldering living side by side in perfect harmony. Canoeing, kayaking, and stand-up paddleboarding (SUP)— you can do it all on Summersville Lake. 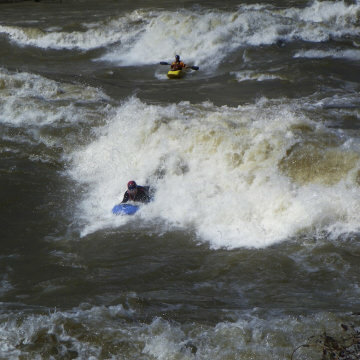 Ranks among the best for whitewater paddling in the region. There are precious few hiking trails within the Gauley River National Recreation Area. There is one, however, that manages to be long and utterly engaging. 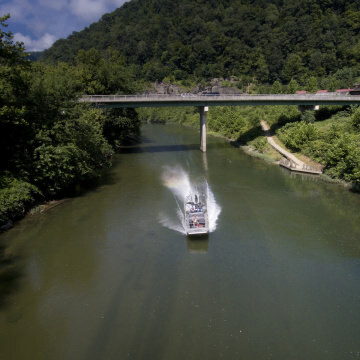 The East Coast’s big water run that built West Virginia's rafting industry is accessible and fun for most paddlers. 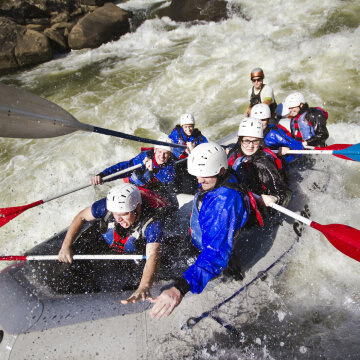 Known as the Beast of the East, the Gauley River has some of the best whitewater paddling on Earth. It's definitely upper world class—and it's within a day's drive. For hikers who want a wide variety of terrains and views in a single jaunt, it’s tough to beat Babcock State Park. It’s like a tiny bit of Thailand plopped itself in the heart of southern West Virginia. 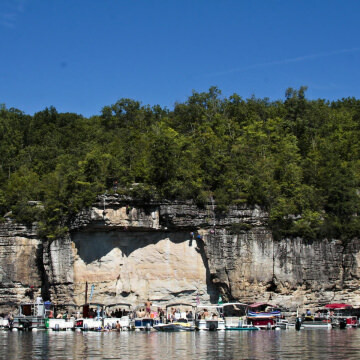 Rock climbing at Summersville Lake will have you cooling down in crisp, clear waters between sweaty redpoint burns. Mountain biking in West Virginia's New River Gorge is not as well-known as some of the other activities at the New, but this well-kept secret is worth seeking out. We were floating in a calm pool above Pillow Rock Rapid, one of the Gauley’s famed Big 5. Pillow Rock is the big dog, making it the wildest ride on one of the biggest whitewater rafting stages on Earth. There’s a new way to explore America’s best-known family feud. We’re talking, of course, about the Hatfields and the McCoys. You don't need an ocean to shred waves in WV. The New River Gorge is the East Coast’s hub for shredding the surf on wild river waves. Can You Make It Through This Amazing Cave Hike? 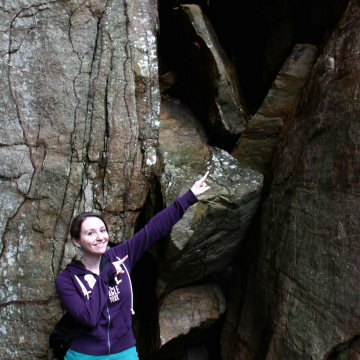 The Cave Hike is short, but adventurous. The trail has exceptionally rugged terrain on cliffs more than 60 feet high.